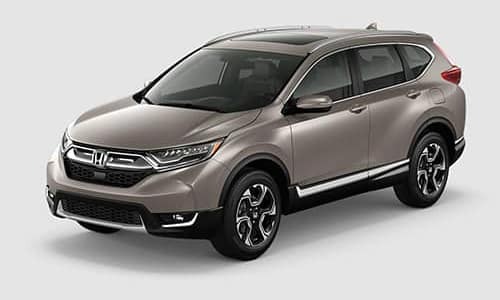 The 2019 Honda CR-V is a dynamic crossover that offers drivers power on the road with available AWD and versatility inside a spacious cabin. U.S. News and World Report calls it “an ideal vehicle for most families thanks to its spacious rear seats and vast amount of cargo space.” Coming in four different trim levels, there is a CR-V right for every driver—from the comfortable entry-level LX to the high-tech top-of-the-line Touring. The entry-level LX model may be the most affordable CR-V, but it doesn’t skimp out features and equipment. Setting a high bar for comfort and convenience, drivers of the LX can expect illuminated controls mounted on the steering wheel so drivers can adjust the temperature, audio volume, and more without taking their hands off the wheel. 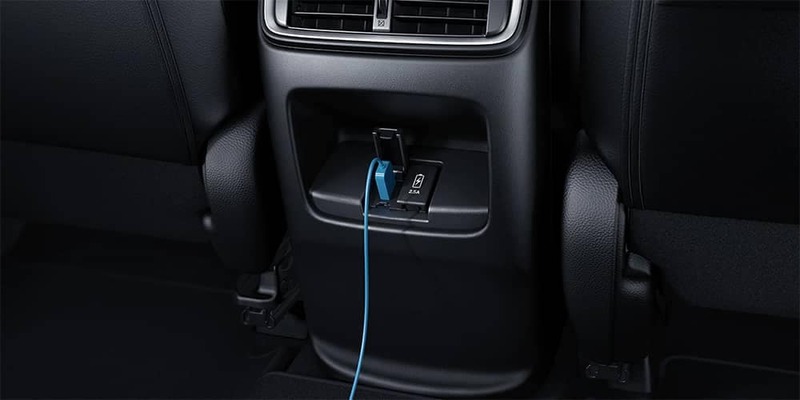 The LX also includes an extensive list of technology amenities that provides entertainment, whether you’re on the morning commute or a long road trip. With Bluetooth streaming audio and Pandora compatibility, you can listen to your favorite artists and even discover new ones. With seating for 5 passengers, the CR-V takes safety as one of its top priorities and has earned top safety and crash test ratings. 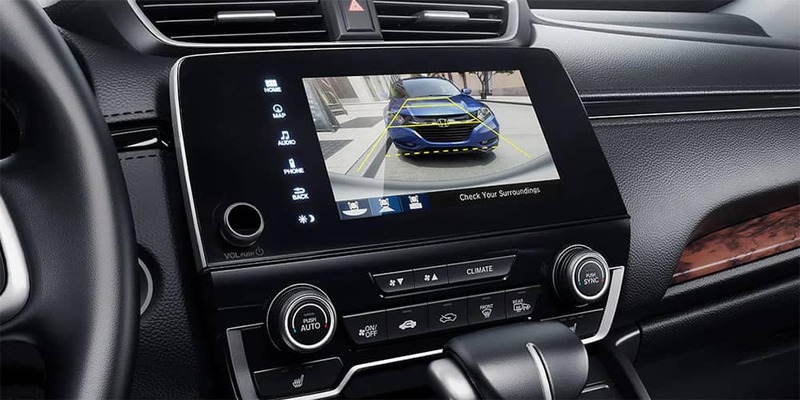 With a multi-angle rearview camera standard on every model, drivers can check their surroundings before backing out and maneuver out of tight spaces with ease. Starting with the EX model, the CR-V comes equipped with the Honda Sensing suite of driver-assistive technology. The package is comprised of systems that warn, prevent, and mitigate incidents on the road by helping drivers drive more safely. 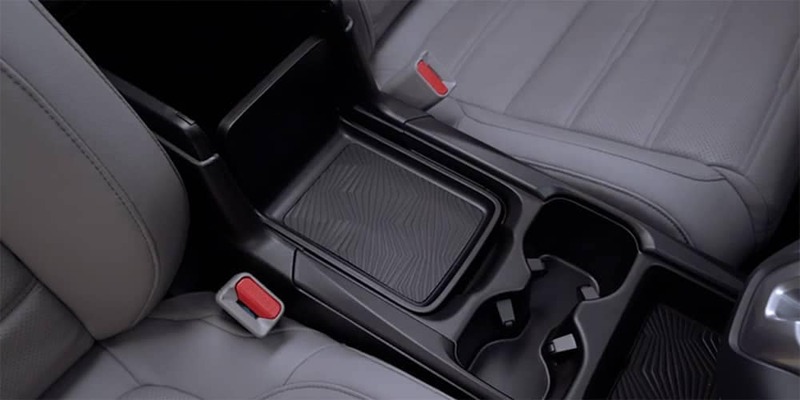 In addition to the Honda Sensing suite, the EX model also adds more comfort, technology, and amenities to the list of equipment inside the CR-V. With heated front seats, drivers can stay warm in the frigid Michigan winters, while smartphone integration and text message function makes it easy for drivers to stay safely connected when behind the wheel. Picking up where the EX leaves off, the EX-L is a great mid-level trim to consider for drivers looking for a leather-trimmed interior which adds sophistication and function to busy lifestyles. The EX-L will also upgrade the audio system so you can enjoy all your favorites songs with crystal clear sound. At the top-of-the-line is the Touring model, offering drivers the most in terms of comfort, technology, and luxury inside. For drivers who need to transport larger items of cargo and equipment, the Touring includes roof rails so drivers can attach kayaks, skis, and more. 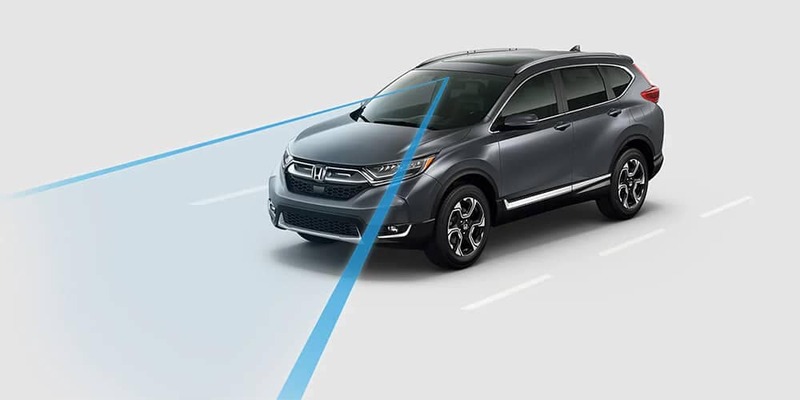 Find out more information on the 2019 Honda CR-V by contacting us or visiting your nearest Mid-Missouri Honda Dealer. 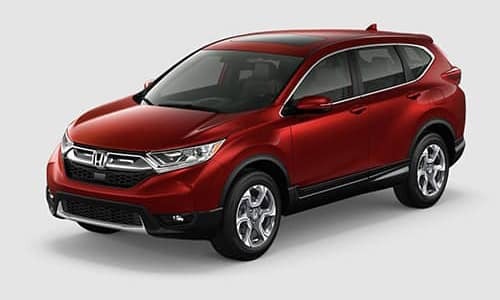 Explore current offers and experience the CR-V firsthand when you sit behind the wheel with a test drive today.